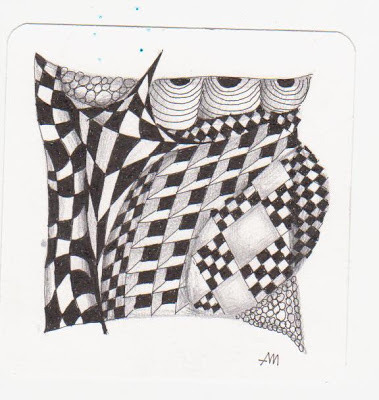 I am finding the work of others a marvellous classroom in which to develop in the art of Zentangle. I see something and think "Oh, I will have to try that!" I'm sure I am not alone in that. 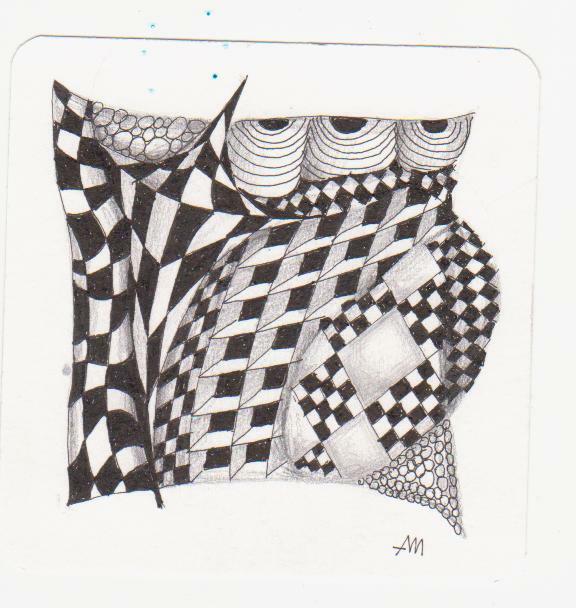 Recently Margaret showed us some great ideas for Knighstbridge, and then pointed us to Donna Lacy's tangelation "Knightspeek", which is great fun. (sorry I'm not much on linking, you'll have to go to Margaret's blog on http://enthusiasticartist. blogspot.com to find these inspirations). 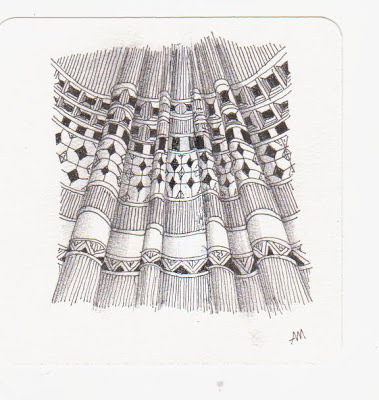 Following this wonderful exercise, I attempted something Maria Thomas shared on her blog at Zentangle regarding using the columns of a building as a string. I found this took a little more concentration﻿ and probably jumped in at the deep end before trying a simpler version. But I did enjoy it! Thanks Maria. I will try some more down the track. These are beautiful. I love Knightsbridge so also appreciated Margaret's blog on variations. wow your tile on the diva challenge has not only gret depth it has perspective to. beautiful delicate drawn.